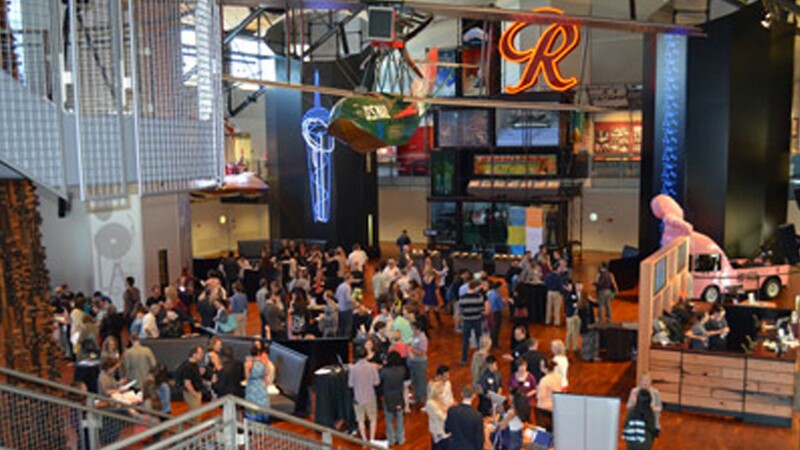 UPDATE: For a closer look at the Screen Summit event and the new MOHAI space, check out our highlight video at the bottom of this page. 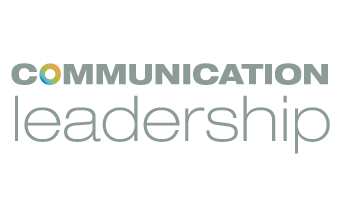 Plus, get an in depth view of nine students’ stories and how the work they have done in Communication Leadership has transformed their careers. On June 14, Communication Leadership students, alumni, and faculty, Department of Communication alumni, and members of the community gathered at the Museum of History and Industry (MOHAI) for the third annual Screen Summit to celebrate the launch of the Communication Leadership program and showcase superlative student work. Comm Lead students shared their projects on the screen of their choosing – TV, laptop, smartphone, tablet– with the more than 200 guests, including a transmedia project involving smartphone apps, graphic novels, and tourism; an independent musician project on building an online fan base; a short video documentary that screened at the Seattle International Film Festival; and two digital business prototypes. In addition, the Screen Summit recognized four students who “enriched the community through their unique creations and contributions” with awards for Innovation, Entrepreneurship, Story, and Community. The Innovation Award recognizes the Comm Lead student who “brought innovative flair to their overall academic career in the classroom, engagement in the program, and work they produced to earn their degree.” The winner was Jeff Barr, who was described as bringing vision, rigor, creativity, and admirable sense of humility to his time in the classroom. The Entrepreneurship Award was given to Shanna Christie. Faculty said Christie challenged herself in the classroom and wasn’t afraid to take risks. The Story Award was presented to Dacia Saenz for creating the most compelling example of work around a story. Comments from faculty included that Saenz is never one to be shy about her convictions, and she has demonstrated a deep respect and belief in the power of storytelling and narrative to build and strengthen communities. The Community Award was presented to Jordan Slaymaker. Faculty members said it is hard to find a part of the Comm Lead program that has not benefitted from Jordan’s contributions – from her active participation in classes to her work on the Comm Lead First Fridays tradition. These students, along with the other 15 who were nominated, demonstrated excellence in a crowded Comm Lead field. In talking about the collaboration with MOHAI and Amazon, Director of the Comm Lead program Hanson Hosein said, “It makes me feel good, as the director of this program, to know that we are in the heart of this community, in this neighborhood, and at the same time we’re educating and working with our students in ways that are incredibly relevant to their careers.” Hosein said that with a nearly 100 percent employment rate whether students are in jobs now or looking to transform their careers, the Comm Lead students are in high demand. Amazon, who sponsored the event for the second year in a row, had representatives at the event to take advantage of the opportunity to be a part of the industry, especially the next generation of media makers. The event closed with scoops of Snoqualmie Ice Cream, another sponsor of the event, and was a great ending to the academic year. The Comm Lead program will welcome 82 students in the fall, and a number of them attended the Screen Summit. >Feeling so lucky to be a part of #CommLead Cohort 13 after attending #screensummit yesterday. Awesome people, awesome program!